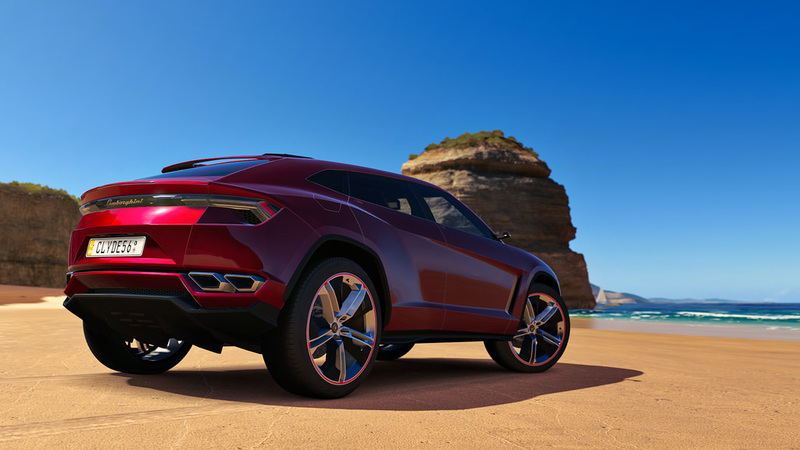 DO you believe that LAMBORGHINI URUS FASTEST SUV EVER build .In the time 1986 , Lamborghini launched its first SUV or Sports Utility Vehicle LM002 at the Brussels Auto Show, was a massive military-stuff creature powered by a V-12 5167 cc engine , which was came again in limelight when American military used Uday hussein’s LM002 to simulate the effects of a car bomb . 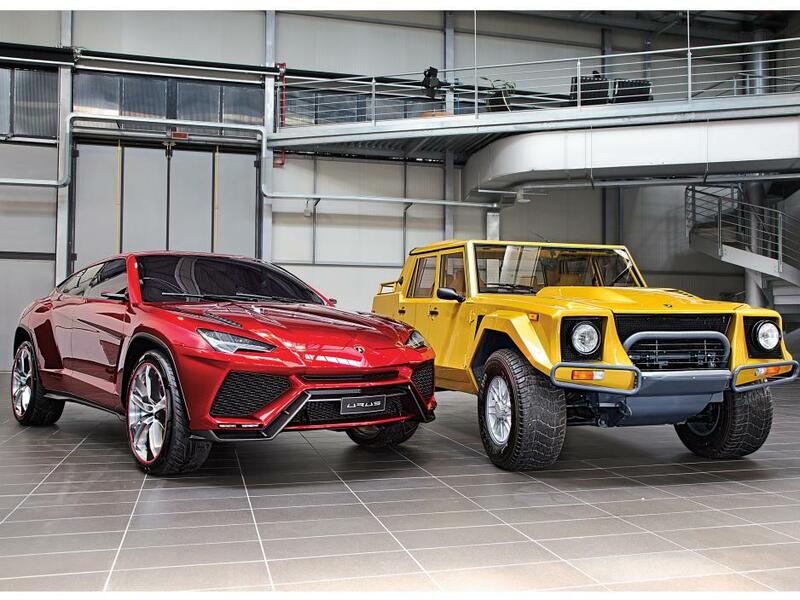 It means the power and strength of Lamborghini’s First SUV was stunning . Lamborghini well known famous for its sports Cars like Gallardo ,Aventador , Huracan. 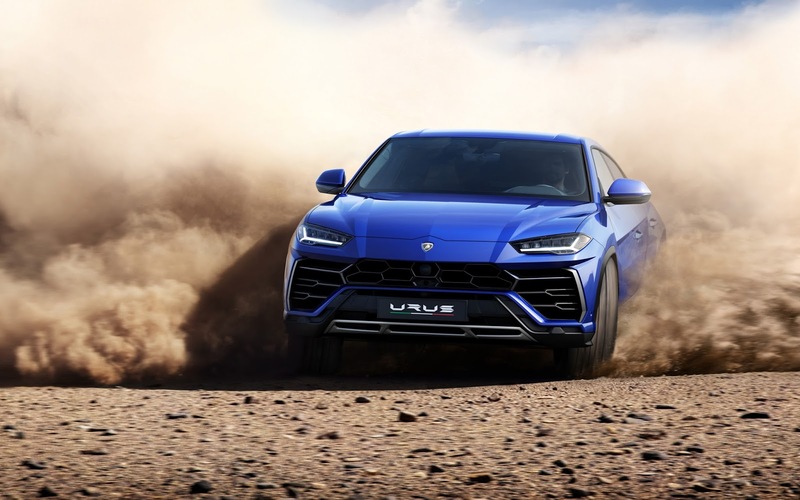 Now this time Lambo made us surprised by revealed its super sports car soul and the functionality typical for an SUV: this is the Lamborghini URUS, the world’s first Super Sport Utility Vehicle. Identifiable as an authentic Lamborghini with its unmistakable DNA, Urus is at the same time a groundbreaking car: the extreme proportions, the pure Lamborghini design and the outstanding performance make it absolutely unique. Urus’ distinctive shape with a dynamic flying coupe line shows its super sports origins, while its outstanding proportions convey strength, solidity and safety. It’s best weight-to-power ratio in the entire SUV segment ensures the best performance in every situation .Lamborghini .It is fully loaded with 8 cylinder 3996 cc engine wich produce max power650 hp @6000 rpm and 850 Nm torque @2250-4500 rpm. 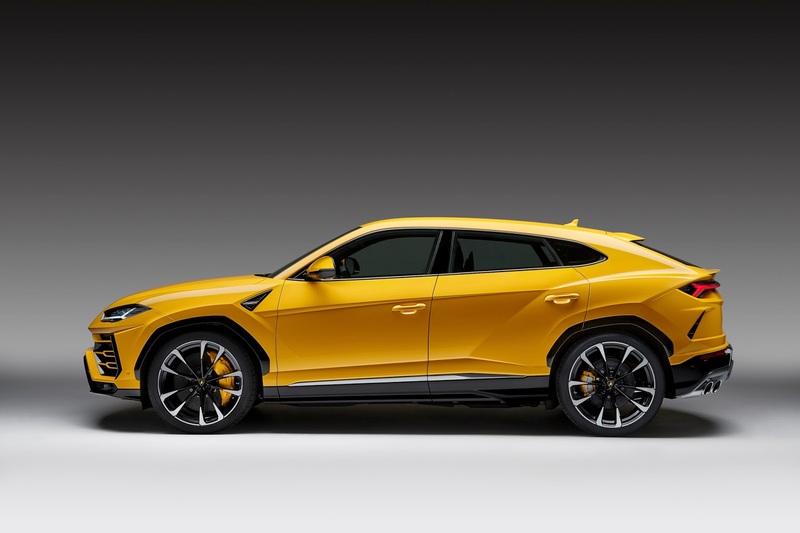 If we are talking about the length it is 201.3 inches long with 118.2-inch wheelbase, which makes the Urus is 1.7 inches longer than the Q7 and 7.4 inches longer than the Cayenne Turbo. And at 64.5 inches high and 79.4 inches wide, the Urus is quite a bit lower and wider than the Q7 and the Cayenne. Lamborghini assures us that the Urus will outperform each of those corporate cousins, with a claimed top speed of 190 mph (3 mph higher than the Bentayga) and a reported zero-to-62-mph time of 3.6 seconds. Lamborghini Urus has a cutting-edge, distinct and streamlined design with multiple souls: sporty, elegant and off-road. Its athletic muscular surfaces make it appear strong and self-secure, while the mixed tires allow a luxury super sports car look. All the surfaces are designed with a clear attention to functionality. Some Lamborghini details and iconic shapes can be immediately recognized at first glance, such as the “Y” and the hexagon elements, the front bonnet with center peak and the cross lines on rear door. The extreme proportions and the single profile line make Urus a real Lamborghini. Furthermore, its proportions are unique since it is the lowest SUV in its class. We all know Urus design took inspiration from the heritage of the LM002 in regard to the power dome showing the position of the engine and the significant diagonal lines, while the frameless doors recall the iconic Marcello Gandini line. Luxurious Italian craftsmanship meets state-of-the-art technology has been used for interior of Urus . The aeronautic design and the driver-oriented instrument concept with three TFT screens (one for the instruments, one for infotainment and one for comfort functions, including virtual keyboard feature with hand-writing recognition) put the driver’s needs at the forefront and make the overall experience more comfortable and enjoyable. 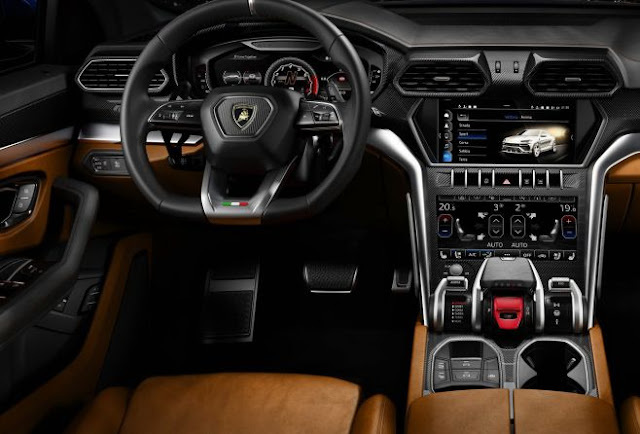 The interior can be customized to be more elegant or more sporty, through the selection of different kinds of colors and materials, such as: natural leather, Alcantara, wood finish, aluminum or carbon – with the option for further sophistication on select materials through contrast stitching or Q-citura .Furthermore, Lamborghini Urus is the first five-seater super sports car. According to http://dwheels.blogspot.in/ Lamborghini Urus looks like mars vehicle or the future of SUV. Its unique design always different from other automobile companies, if we are talking about sports cars or the SUV. This is the reason dwheels took the story of Lamborghini Urus for you. Wow! great content! Its an appreciable blog post regarding buying Used Motorbike. These tips are amazing & very helpful. Your content is great & very informative. Thanks for posting & keep blogging!